On a recent solo trip to Ireland, I flew into Dublin and made that my home base as I explored the country. Though I took a number of day trips, a week could easily be spent in Dublin itself. Here are my top 10 activities you can do in Dublin, all within a moderate walk or easy bus ride of the city centre. Wander into St. Michan’s Church and pay €6 to see the creepy crypts that were said to inspire Stoker’s Dracula. The tour begins upstairs, where you can view the church itself, then leads you down eerie staircases to the five burial vaults below. You can peer into the vaults to see mummies and coffins from as early as 1600. Make sure to watch your belongings though; to up the creepy factor, there are signs saying that thieves have targeted the crypts. To see the reading room where Bram spent time reading and writing, head to Marsh’s Library, the first public library in Ireland. When I visited there was a “Book Thief” exhibit that displayed recently returned books after having been stolen or lost. I don’t have many photos because pictures are not allowed inside most of the space, but trust me when I say it’s a beautiful, historic library. It costs just a few euros to enter. The Guinness Storehouse beat the Eiffel Tower and Buckingham Palace to be named the top tourist attraction in Europe. After visiting, I can actually see why. 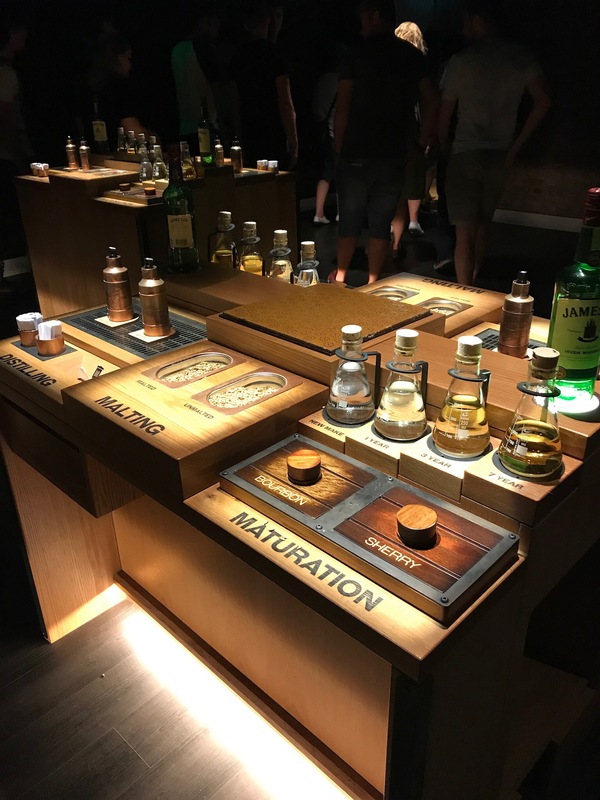 The exhibits are well designed and just the right level of informative, you get to try the cutest Guinness sample in a little glass, and then you get to choose where to enjoy a full pint. They say you can either learn to pour the perfect pint or get one at the Gravity Bar with 360 degree views of Dublin. Pro tip: pour your own pint, then bring it up to the Gravity Bar for the best of both worlds. Cornucopia is an adorable vegetarian restaurant just a couple minute walk from Grafton Street. In the mood for brunch? Select 5 of their vegan brunch items (think scrambled tofu, hash browns, veggies, & wheat-free vegan sausage) for €9. The Irish government uses this historic castle for presidential inaugurations, fancy ceremonies, and state dinners. Figures such as Queen Elizabeth II, Charles Dickens, Benjamin Franklin, and more recently, Justin Trudeau, have been entertained here. It’s €10 for the guided 70 minute tour, or €7 to explore at your own pace. My favorites? The stunning Waterford Crystal chandeliers and the absolutely regal blue room. If you’re up for a little adventure, try to find the deer in the Phoenix Park Zoo. It’s hit or miss and your odds are best on a sunny day; bike rather than walk to cover the most ground. For some guaranteed four-legged friends, head to the Dublin Zoo. It’s pricey at €17.50, but it’s worth it for the impressive African Savanna where zebras, giraffes, ostrich, and rhinos mingle, and the exhibit where you can actually witness an orangutan climbing overhead. Step into the space that inspired the Hollywood sets of Harry Potter. The Long Room is 213 feet of dark wooden bookshelves filled with beautiful old books. Featured is the Book of Kells, completed by monks around 800 AD. You can see about four of the pages of the book, each filled with elaborate detail. Arriving early is your best bet to see the Book of Kells, as the space gets quite crowded in the late mornings and early afternoons. Expect to spend about €13 on this visit. Kilmainham Gaol is an absolute must, especially for anyone interested in Dublin’s history. Learn about the jail’s role in the Easter Rising and ultimately Irish independence, and hear stories of the individuals who stayed at the jail. During the potato famine, jail was sometimes chosen over the streets and Kilmainham became full of inmates arrested just for petty theft. This attraction does fill quickly, so go early on a weekday or get tickets in advance. The cost is €8 for adults or €4 with a student ID. Though the Guinness Storefront has my heart, the Jameson Whiskey Distillery Tour is worth going to as well. I paid €20 for the Bow St. Experience, which involves a short tour and samples in a tasting room. Your ticket also gets you a whiskey at the bar if you’re not already too tipsy. St. Patrick’s Cathedral is just one of those places you should probably visit on a first trip to Dublin. Jonathan Swift (author of Gulliver’s Travels) was buried here, St. Patrick was believed to have performed baptisms, and you can visit the door of reconciliation. Haven’t heard of that last one? 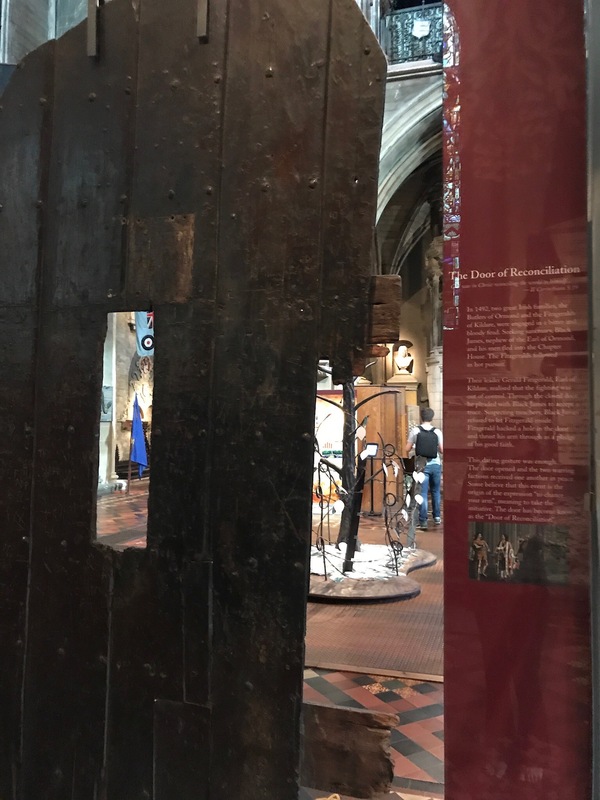 Read the story here, including where the phrase “chance your arm” came from: https://www.stpatrickscathedral.ie/the-door-of-reconciliation/ The cost is €6.50 for adults. Not the type you’re thinking of. This 300 year old church has been converted to a pub with traditional Irish music and dancing on some weeknights. In the city centre, its hard to find a pub with decent prices and a few locals amongst the tourists. Skip Temple Bar and head here instead. What other city centre gems deserve a spot in the top 10? Let me know in the comments below! Great review, you missed the Museums though and they are free!